I’ve been doing some prep work with WDS this week for a client, (I’ve covered Deploying Windows 7 with WDS before). So I went to check if there was a new WAIK as Windows 7 and Server 2008 R2 have had a Service Pack 1 released since last time I deployed windows 7 in bulk. And sure enough, there is an update. (Though the update is for WindowsPE Not the SIM tools I would be using). Note: This is an update not a complete install of the WAIK. 1. As mentioned above, before you start you should have the full WAIK installed. 2. Download the supplement to your machine (Note: is comes down in .iso format). 3. As the files are in .iso format you can burn them to a DVD, though I prefer to use 7Zip and just extract the files as if they were a zip folder/archive. By default WAIK will install to “C:Program FilesWindows AIK” (Note: your location may be different, check). 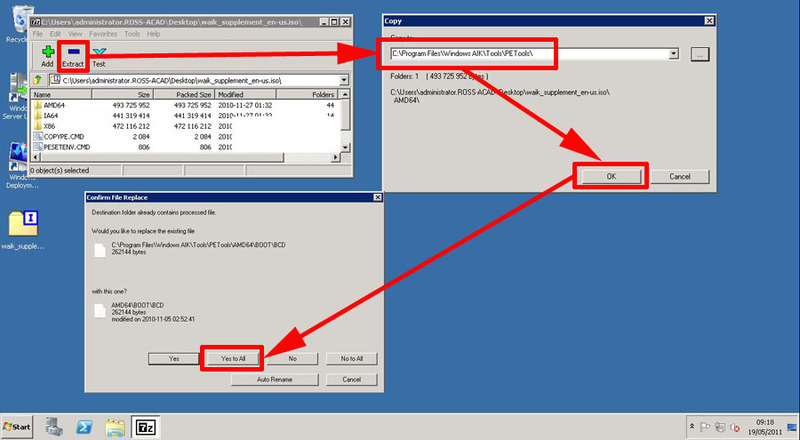 In this example I’ve extracted the update to E:WAIK_SP1, change your path accordingly. 5. 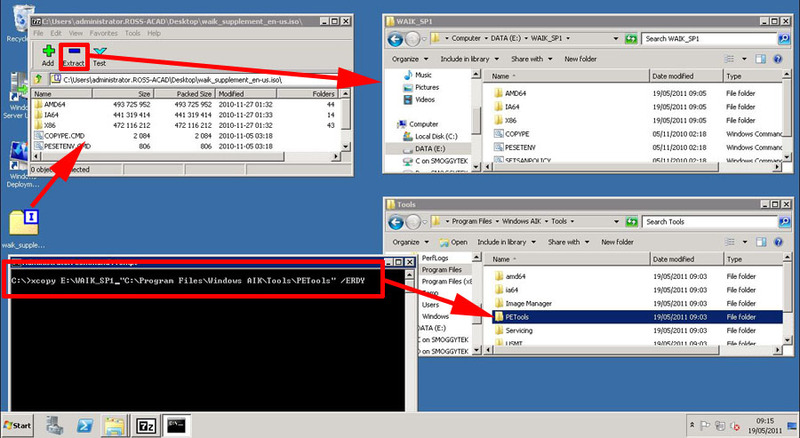 Alternatively you can just extract the files from 7Zip straight to the PETools folder. 6. To check, simply compare the date stamp on the folders in the PETools directory with the current date.